3. 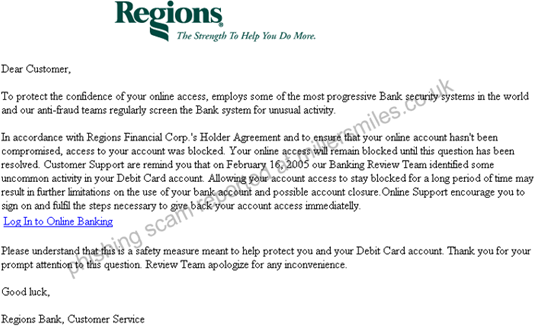 URL of spoof website disguised as " Log In to Online Banking ".
" Dear Customer, To protect the confidence of your online access, employs some of the most progressive Bank security systems in the world and our anti-fraud teams regularly screen the Bank system for unusual activity. "